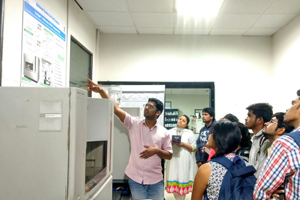 The first year comprising two semesters is extensively field oriented and the second year is lab intensive. 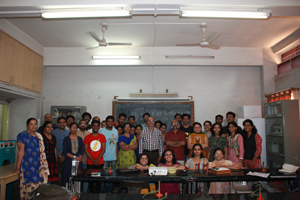 The first semester is devoted to taxonomy and diversity of various life forms and emphasizes on basic techniques of exploration of diversity. Second semester focuses on natural history and is supplemented adequately with quantitative techniques in biology and ecology. Human ecology component which forms the key component in shaping up of natural systems has also been included here. This semester also includes important aspects such as Environmental Pollution and Climate Change that impact Biodiversity. First and second semesters together emphasize on conceptual as well as empirical knowledge of the ways in which natural systems work. The first two semesters can make a good naturalist and ecologist. Third and fourth semester will expose students to various facets of environment, conservation and utilization of bioresources. These two semester will help students understand the holistic approach towards assessing potential of bioresources and protection of natural resource base. Topics like Environmental laws & awareness form the core of the third semester. Dissertation & understanding research methodology is a vital component. Natural systems (Biodiversity), being dynamic, possess very high seasonality component. Several of the projects are directed to field level research. Dissertation and understanding research methodology is a vital component. Natural systems (Biodiversity), being dynamic, possess very high seasonality component. Several of the projects are directed to field level research and need considerable time to be spent in the field. Students shall attempt core/compulsory courses (TC) and some noncore/ optional courses (TNC) for theory and compulsory courses for Practical in the respective semesters. See detailed syllabus for further information. 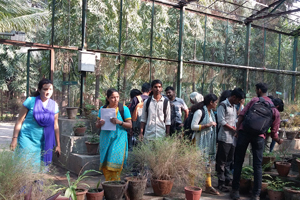 Thus with a previous background of field knowledge and laboratory techniques complemented with scientific communication, the entire course tends to make the right kind of biologists that can translate the potential of country’s Biodiversity into actual wealth.